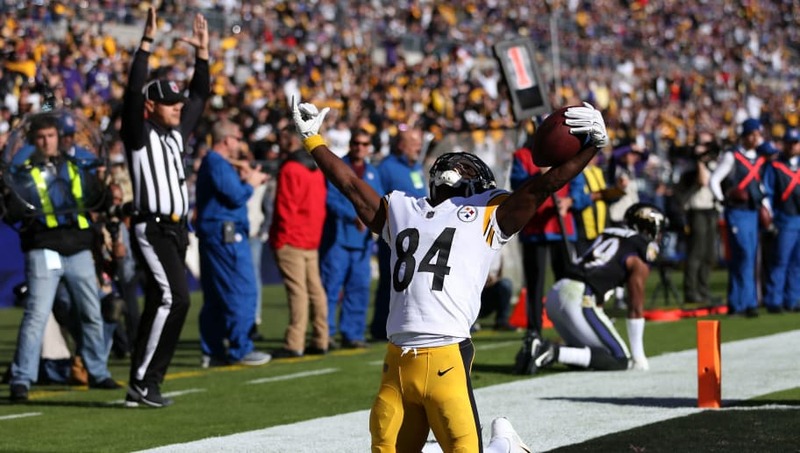 Antonio Brown has not been shy about his desire to force a move out of Pittsburgh following an ugly and dramatic end to the 2018 season. Brown certainly didn't do himself any favors when reports of a domestic dispute surfaced, involving the wide receiver and the mother of his child. The incident damaged Brown's trade value and, according to a report from Ed Bouchette, the price on the Steelers' star has plummeted. Bouchette claims to have been told by NFL personnel that Brown's value is hovering around a fourth-round pick, far less than one would expect for the seven-time Pro Bowler. Steelers' brass were hoping for a better return on the 30-year-old, having initially been expecting a first-round pick for their star player. Now it seems they would be lucky to land a pick in the first three rounds. To put Brown's new value in perspective, the Dallas Cowboys traded a first-round pick to the Raiders to land Amari Cooper during the regular season. Despite Cooper being a young asset with massive upside, his ceiling is less than what Brown has been producing for the past six seasons. The Steelers' and Brown don't seem likely to resolve their dispute any time soon, but the low price tag on Brown might convince the team to hold on to their former sixth-round pick. If they do decide to trade him, however, they shouldn't expect much back in return. But perhaps the headache is worth whatever they could get.